This entry was posted in Word 2010 and tagged Help, Office 2010, Tutorial, Undo. Bookmark the permalink. this was a great help. I almost lost my whole project. Although is wasn’t that much but… I didn’t want to do it again. Thanks man. u rock. I wonder if you can clear up a problem I am experiencing in Word 2010. It relates to selecting shapes, etc in a document. 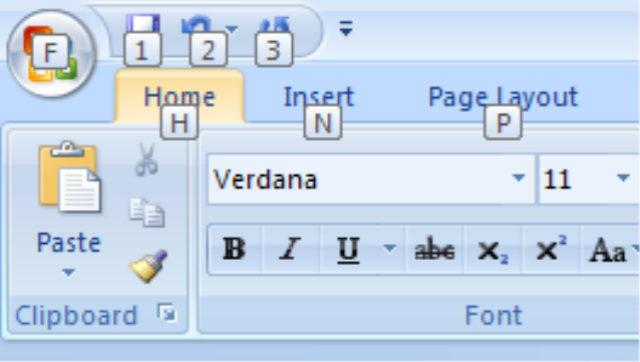 In Word 2007, I was able to use the mouse to capture (lasso) a number of objects and then group them together. I upgraded from 2007 to 2010 Professional Plus, and although the Select Objects feature is shown on the ribbon, I find I cannot lasso the (for example) texts boxes. I have tried uninstalling all traces of 2007 and 2010 and have reinstalled 2010, however this has not changed anything. damn word 2010! i`ve been using it for the past 6 months. i love it and hate it at the same time. i had almost lost my work and i couldn`t remember the shortcut key for undo but you made my day! Thank you! All this time I’ve been clicking on the word “undo” wondering why nothing happened, never once noticing the second button that pops up. I was ready to dump this newly purchased program and go back to Open Source. Thanks for the save. Bill Gates can get the finger for 2010.
is there any option to increase the number of undos available in Office 2010 application? This was the biggest help ever! I can’t thank you enough!